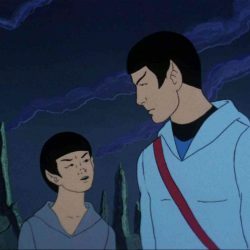 You may or may not be familiar with one of my favorite aspects of the now 50-year-old Star Trek franchise: The Animated Series from 1973. 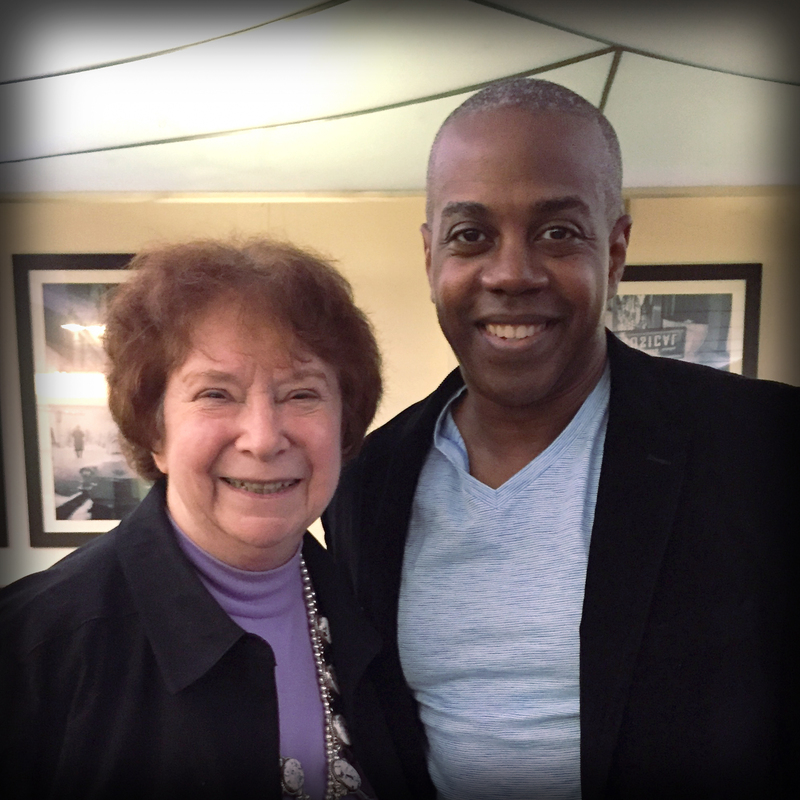 I recently began a creative partnership with legendary Star Trek writer Dorothy “D.C.” Fontana. She is helping further develop stories I’ve been crafting for the first 10-episode season of Oceanus: Revelation. 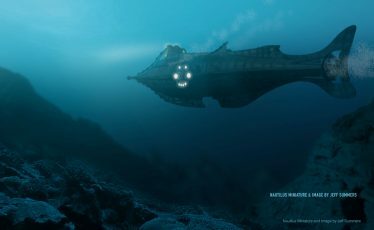 The series is designed as a continuation of the Oceanus: Odyssey One feature film. I can hardly find the words to describe the honor it is to work with Ms. Fontana to expand a science-fiction universe that I’ve been developing since 2014. 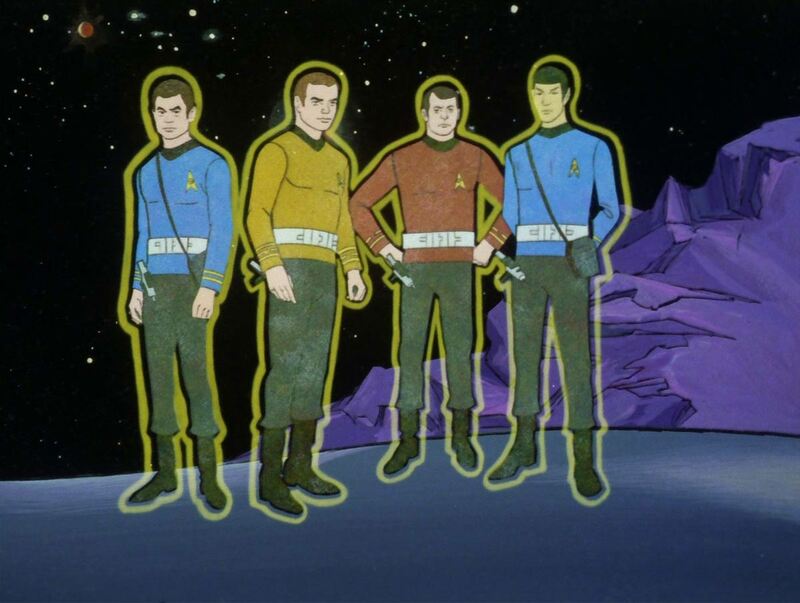 I’m a huge fan of the original Star Trek. In a lot of ways, it defined my childhood and served as the philosophical foundation of my life. I was an infant when The Original Series ended its three-season run. Like many, I caught the three seasons of the show in syndicated reruns. 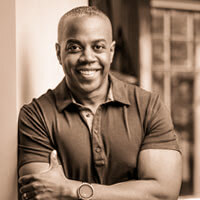 The local, NBC affiliate ran the series in order. As this was the early 70’s, well before the VCR era, I literally memorized all the episodes. I would wait for my favorites and watch them year after year. I began to notice a pattern as I watched what I considered to be the best shows. Many had the same name attached as writer: D.C. Fontana. 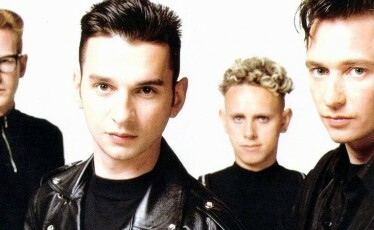 A major favorite of mine was “Tomorrow is Yesterday”. The story featured time travel, with the Enterprise voyaging back to the 1960’s where they accidentally ‘acquire’ a contemporary Air Force pilot. The show turns into a fun caper as the crew is forced to erase evidence of their intrusion into the past before they destroy their future. That episode was just one of many that Ms. Fontana wrote that blew my mind. 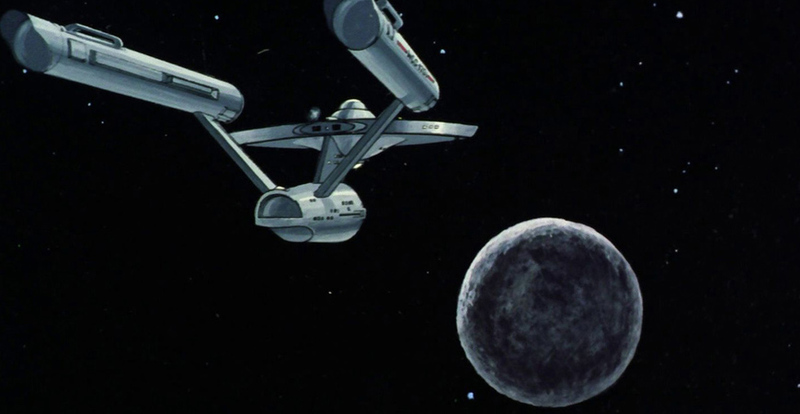 Perhaps my most powerful, early Star Trek memory was when I was finally able to catch the show first run on television. 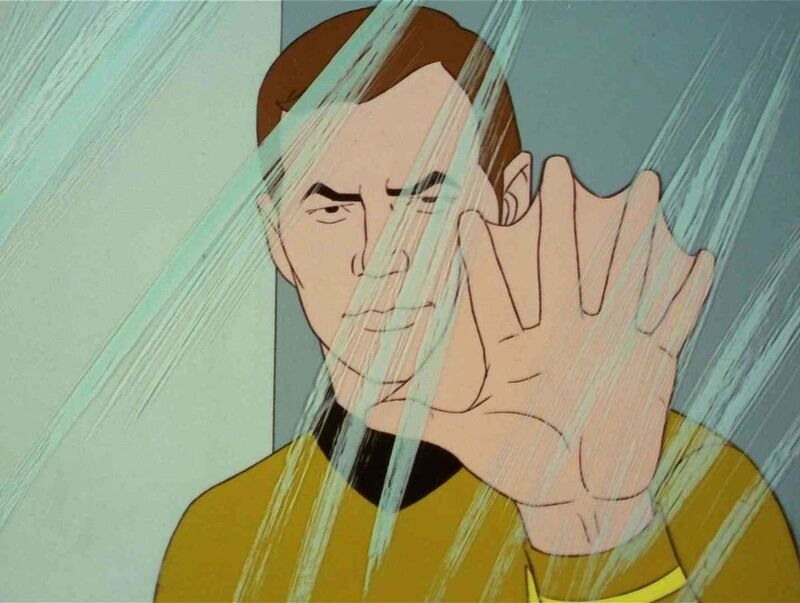 I’m talking what many people see as the FOURTH season of Star Trek—a series that existed as animation. 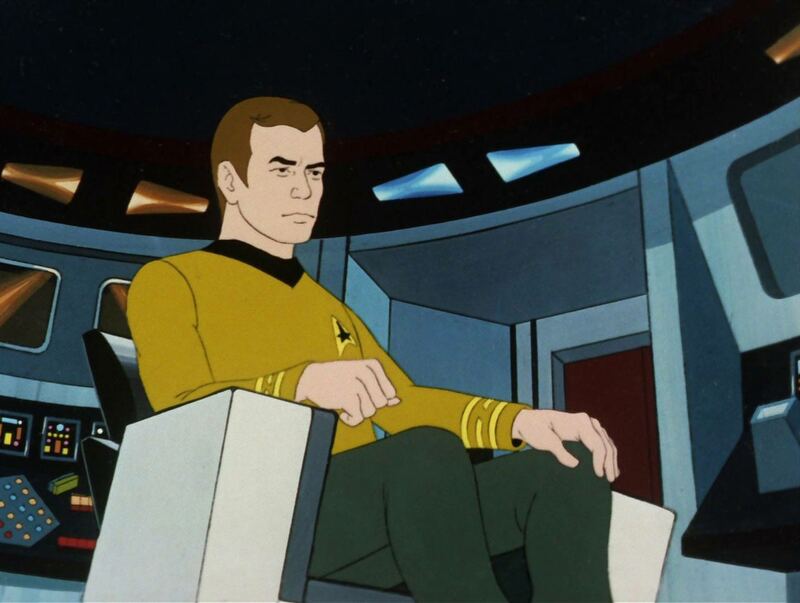 Star Trek: The Animated Series lasted two short seasons from 1973 to 1974 for a total of 22 episodes. 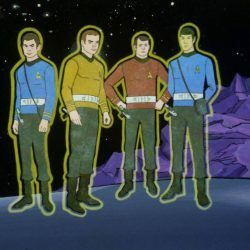 Each story ran 24 short minutes and featured the voices and likenesses of the original cast—with the exception of Walter Koenig’s character of Pavel Chekov. During one of our recent story meetings, Ms. Fontana and I spoke at length about The Animated Series. She was deeply involved in its creation working alongside Gene Roddenberry. She marshaled a team of writers who included many of the best from The Original Series, including David Gerrold—writer of “The Trouble with Tribbles”. One of the things I loved about the show was that it took itself very seriously. In a lot of ways, it was as grown-up as the show the preceded it—minus the sensuality and violence. This allowed it to work for both kids and adults. Ms. Fontana shared a story with me about debuting the concept of The Animated Series at one of the first Star Trek conventions. She said the prospect of a cartoon was met with skepticism. Once she played the show’s opening credits, the crowd went wild. I felt similarly when I saw a preview of the show for an NBC Saturday Morning Fall Preview. I can’t describe the excitement in my six-year-old mind. 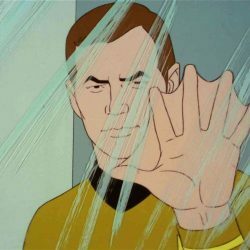 new Star Trek was coming!!! 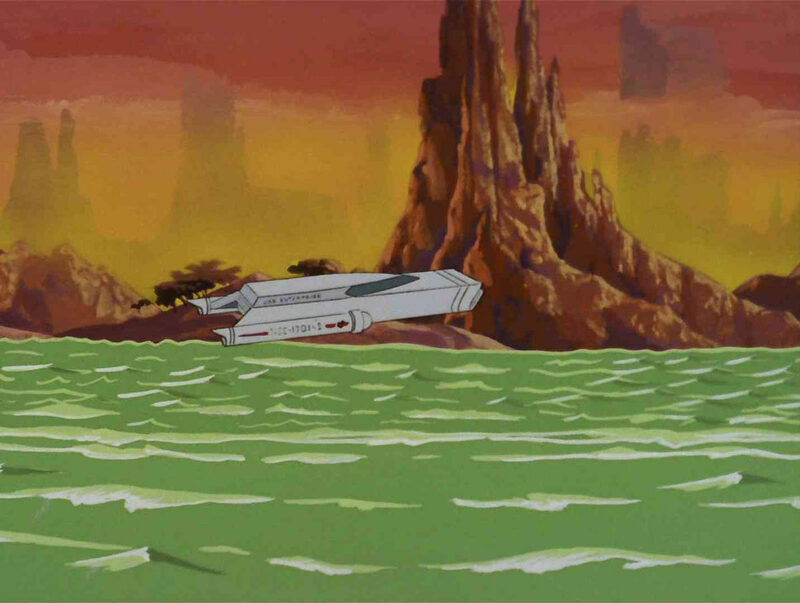 The Animated Series also expanded upon the characters and storylines originated in The Original Series. 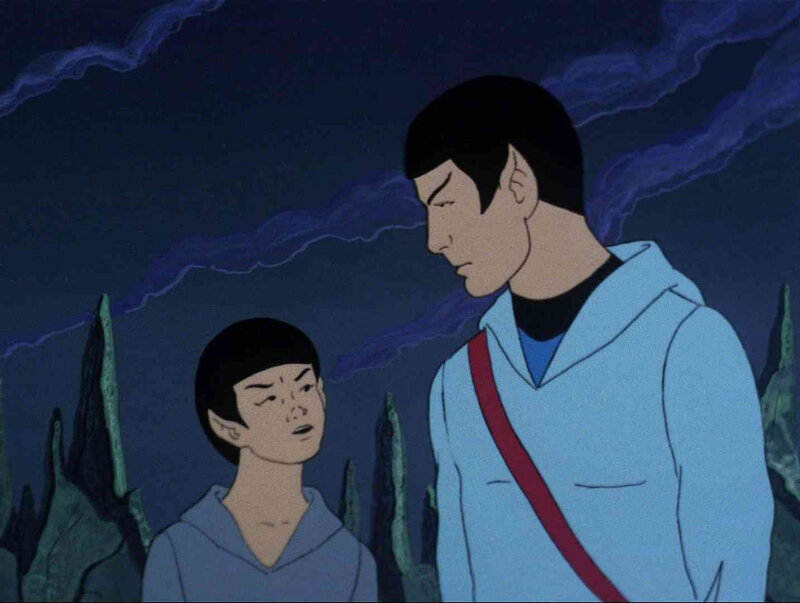 We learned about Spock’s challenging childhood on Vulcan in the episode “Yesteryear”—written by Ms. Fontana herself. That story also became the basis of much of the first act of the J.J Abrams 2009 cinematic reboot. We were also introduced to Robert April, the first captain of the USS Enterprise in the episode “The Counter-Clock Incident”. 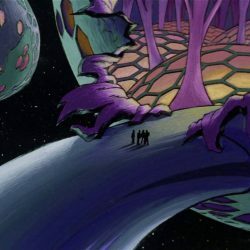 Another amazing aspect of The Animated Series was that visually, it was no longer constrained by the tight budgets that plagued production design of the The Original Series. Epic locations like giant spacecraft and numerous alien planets and aliens were regularly depicted. 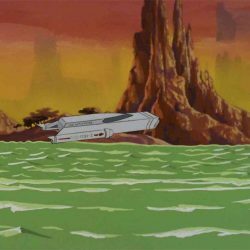 One of my favorites was the episode “The Ambergris Element” which featured Captain Kirk and Mr. Spock being converted into water-breathers by a civilization of humanoid amphibians. 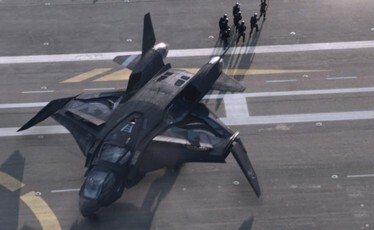 This story also gave us the “Aquashuttle” support craft. I was inspired to name the primary submarines from Oceanus after it. 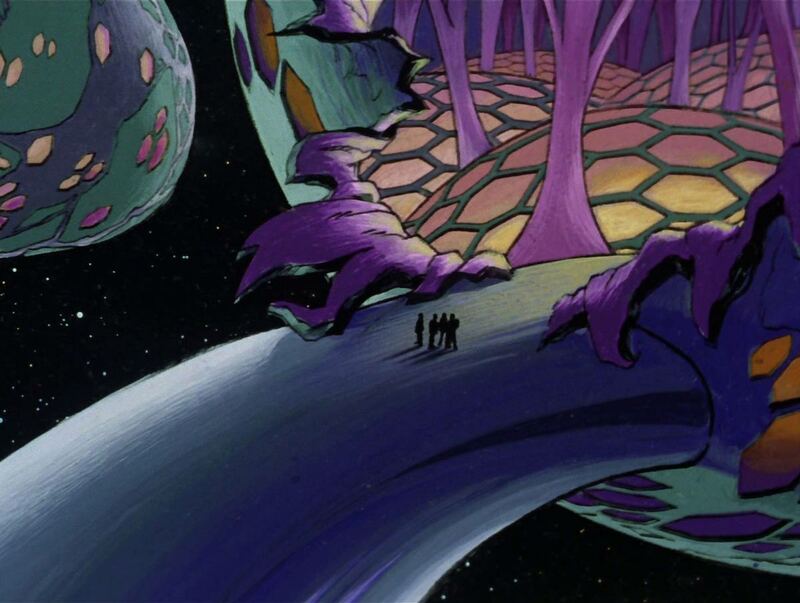 The Animated series was also brought viewers new technologies like “life support belts” which provided a forcefield around the landing party members so they could enter any environment. 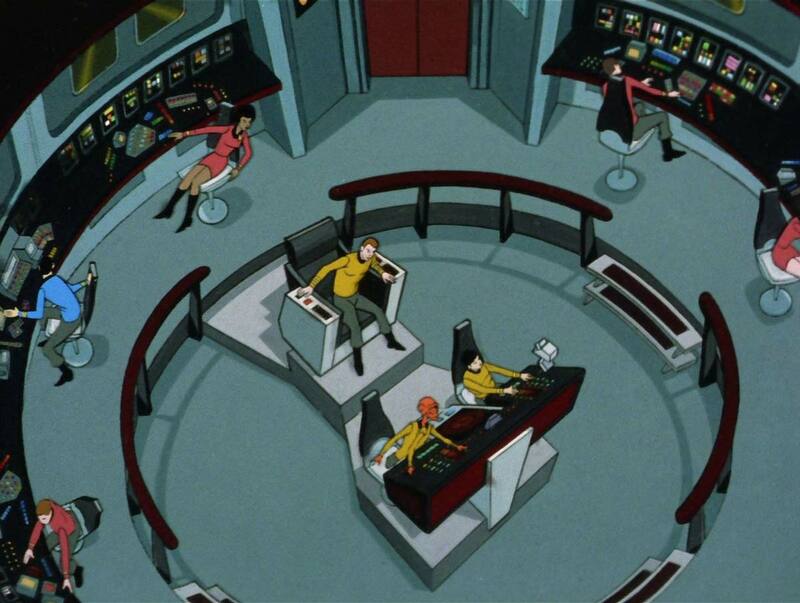 The show also presented the “Rec Deck”—a precursor of The Next Generation’s Holodeck, fourteen years in advance. 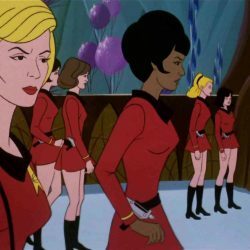 There was also the extremely progressive episode “The Lorelei Signal” where a race of advanced alien females kidnap and incapacitate the male crew members of the Enterprise. 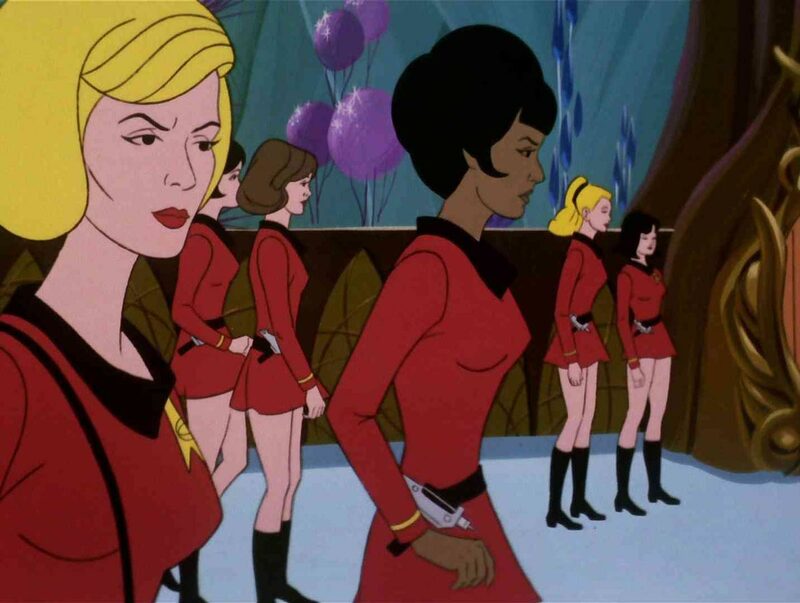 Lt. Uhura and Nurse Chapel assume command and save the day. It is an epic feminist statement that still resonates to me to this day. 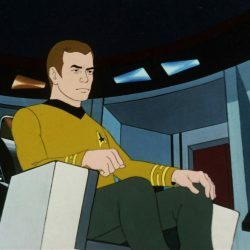 The Animated series was critically acclaimed and was the first Star Trek series to win an Emmy Award when its second season received the 1975 Emmy for Outstanding Entertainment – Children’s Series. It was released on Blu-ray in the Fall of 2016 in addition to the show’s epic soundtrack which is being sold as part of a special 50th Anniversary compilation of previously unreleased rarities. 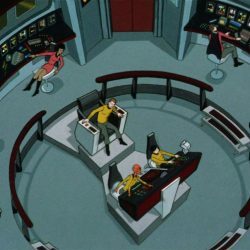 I hope you will check out Star trek: the Animated Series. I guarantee it’s worth your time. And Thanks to Dorothy Fontana and the other amazing artists and writers who created the show. Nearly five decades later, it still has a made a lasting impact on those of us who were there to witness it.